When it comes to achieving the perfect temperature to keep your food cool and make it last longer, what’s best, and is there a technology that can achieve this optimum temperature? Fridges have been around for a while, and are still considered to be amazing pieces of technology. It’s easy to see why these big appliances radically changed the way we live today, but it’s not so easy to understand which ones do a better job at keeping our groceries well refrigerated. What Is No Frost Technology? No Frost technology is just a fancy name given to fridges and refrigerators that are capable of reaching extremely low temperatures without freezing your groceries. The main benefits of this are clear; groceries taste better and last longer. But isn’t there a perfect universal temperature for food? Although many have tried to answer the question themselves, there really is no universal equalizer, and that’s because groceries are different from one another. Certain cheeses need to stay above or below 2-3˚C while lettuce, tomatoes, and other vegetables can be kept closer to the 0˚C threshold. It’s easy to get lost in a sea of detail when talking about food and groceries but, thankfully, there are a few companies that are more than willing to take care of that on our behalf. 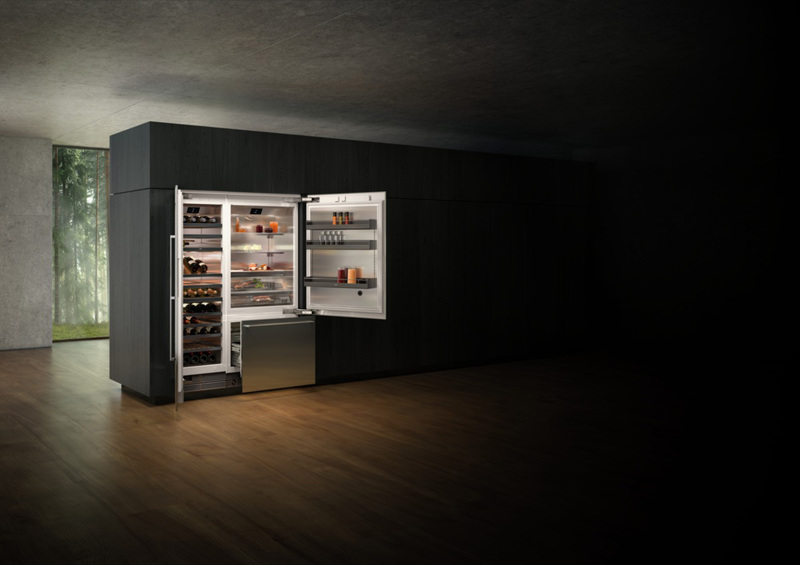 Most notably, Gaggenau has been perfecting No Frost technology for years and their 200 Series has been a key player in compartmentalized temperature. You see, technology has come so far that refrigerators are now able to use less power in certain areas while pushing others at full blast. This means that dairy products, vegetables, meats, and drinks all receive the necessary power and care required – automagically. This isn’t something that every manufacturer offers; it’s a top-notch feature that’s really hard to get done right, but which definitely pays off earlier rather than later. Not only will your dishes taste noticeably better this way, they will also acquire a perfect texture. Nobody likes warm beer: it tastes bad, it makes your mouth pasty, and it’s generally unpleasant to drink. Fridge temperature matters because it changes people’s perspective on food and drinks. If these are kept at the right temperature for the right amount of time, then they taste better; it’s as simple as that. When preparing meat sauce for example, you definitely don’t want to use meats that are flaccid or stale; you need that crunchiness that only refrigerators can provide nowadays and even if most fridges do a pretty good job at keeping your meats safe for a few days, there’s always a sensation of having to rush. While fridges with No Frost aren’t miraculous pieces of tech, they do help in keeping these ingredients fresh for as long as humanly possible. No more trying to figure out what’s the best placement for certain groceries and no more rotating the temperature dial to adapt to either drinks or food. 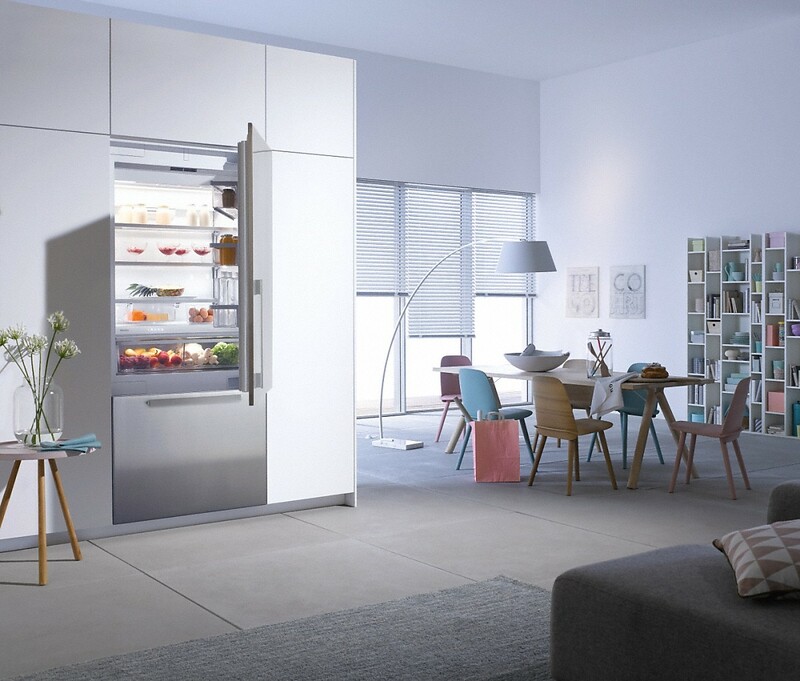 Fridges like the ones offered from Gaggenau can provide you with highly-compartmentalized interiors that work wonders for organization and temperature control. This makes your day-to-day life easier and your dishes tastier. Gaggenau is probably the best brand for kitchen appliances in the world right now. Their products go above and beyond the competition, and for good reason. Take the Vario 200 and the Vario 400 fridges for example. The people at Gagggenau care about design so much that they focus on details other manufacturers would never even pay attention to. Things like climate zones, cooling drawers, fully-extendable shelves, and other features are deal-breakers in the sense that they really change the way you interact with your fridge. Also, as an added bonus, Gaggenau fridges are absolutely stunning: they fit in perfectly in modern environments and they really push the boundaries of industrial design further. Unlike iPhones and fancy tech gadgets though, fridges aren’t usually swapped out every year or two; they really do last a long time. That’s the reason why it’s important to make a good investment on fridges that offer you the best both from the inside and from the outside. While No Frost technology is one of the things that we wanted to highlight, Gaggenau fridges offer dozens of features that are intuitive and easy to use. This is why we at FCI love these products, and it’s also why we use them in most of our kitchen builds.